APPETITE RECIPES GOES IN HERE !!! Add all ingredients to bowl, mixing after each ingredients. Spread onto flour tortilla, leaving about an inch all the way around. 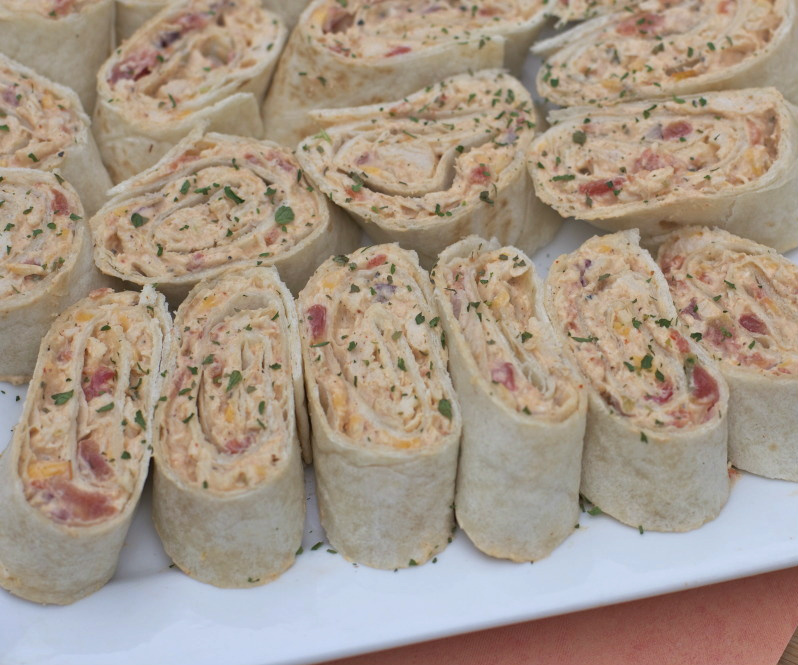 Wrap in seran wrap and refrigerate rolls for an hour. Slice about 1-1½ inch thick. Add more Mexican flavaaaah! Toss in some roasted corn, taco seasonsing and black beans! Use different color tortillas for a colorful platter! 1 Bake potato nuggets as directed on bag. 2 Meanwhile, in medium bowl, toss cheese, bacon pieces and 2 tablespoons dressing mix. 3 Set oven control to broil. Top baked potato nuggets evenly with cheese-bacon mixture. Sprinkle with salt and pepper to taste. Broil 3 to 5 minutes or until cheese is melted and bubbly. You can also use sour cream in place of the yogurt. Jalapeno, bacon, and cream cheese wrapped up in a buttery crescent roll. Need appetizer ideas for dudes who are watching the game? 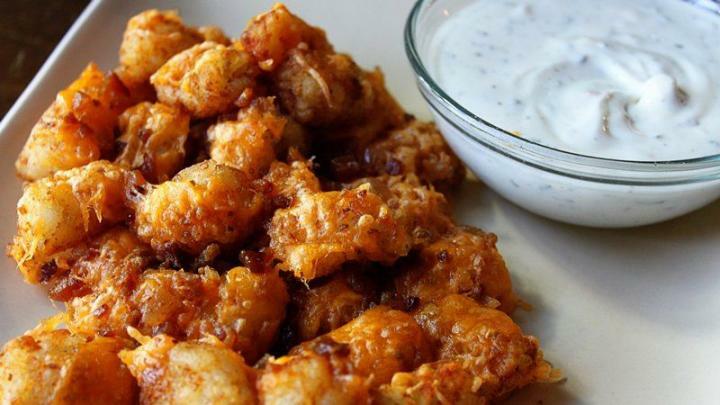 Try these spicy little bites to kick the game into overtime! I like to think that I know the game of football pretty well and that I know men whose lives revolve around football even better. The majority of my life has been spent in bleachers or a living room watching hours on end of football games. But almost as important as the actual game is the food eaten while watching the game. The criteria for dude-friendly football food is that it’s hearty (no salads here) and utensil free. Usually a fair amount of meat is involved, and if it burns your lips off and makes you jump for the nearest beverage, even better. These easy Meatball Poppers and Burger Bites are exactly the kind of food that meat lovin’ men devour during the game. I recently made these Sausage Cheese Balls and they got a thumbs up from all the guys. 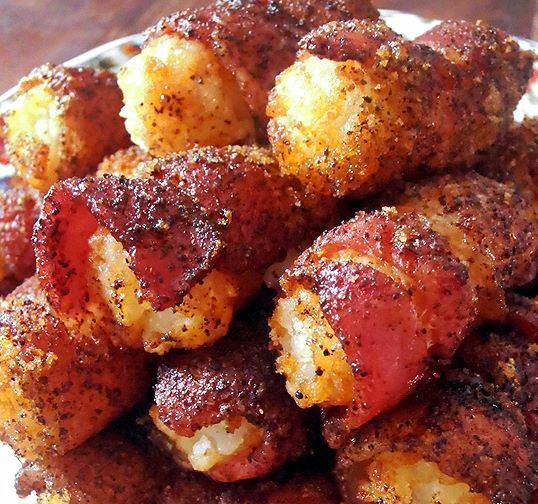 One of my favorite football appetizers is jalapeno poppers wrapped in bacon but they are way too much work. Let me make an addition to the football food criteria — it has to be easy to make. I can’t be missing out on any game time. These Jalapeno Popper Bites are super easy to assemble and are stuff-your-mouth delicious. 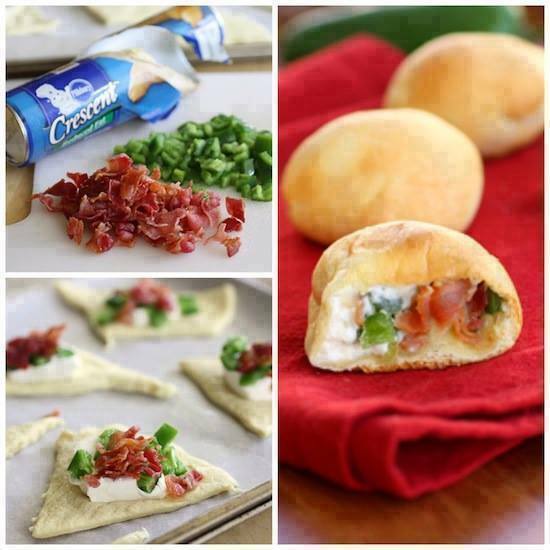 Just pile some cream cheese, crunchy bacon, and spicy jalapeno onto some buttery crescent dough, wrap it up, and bake! You can customize your Jalapeno Popper Bites to be cheesier or spicier – according to how much heat (or cheese) you can handle. These babies scored a touchdown at our last football game!